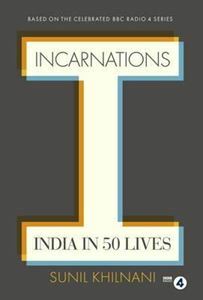 'Incarnations makes the mind fly across time, place and history. You may smile as, mentally, you walk alongside Khilnani up some flinty slope. You will keep thinking about what he said long after' Daily Telegraph For all of India's myths, its sea of stories and moral epics, Indian history remains a curiously unpeopled place. Sunil Khilnani's Incarnations fills that space: recapturing the human dimension of how the world's largest democracy came to be. In this stunningly illustrated and deeply researched book, accompanying his major BBC Radio 4 series, Khilnani explores the lives of 50 Indians, from the spiritualist Buddha to the capitalist Dhirubhai Ambani - lives that light up India's rich, varied past and its continuous ferment of ideas. Khilnani's trenchant portraits of emperors, warriors, philosophers, poets, stars, and corporate titans - some famous, some unjustly forgotten - bring feeling, wry humour, and uncommon insight to social dilemmas that extend from ancient times to our own. As he journeys across the country, and through its past, Khilnani uncovers more than just history. In rocket launches and ayurvedic call centres, in slum temples and Bollywood studios, in California communes and grimy ports, he examines the continued, and often surprising, relevance of the men and women who have made India - and the world - what it is. Their stories will inform, move and entertain this book's many readers.